Available from La Touche, Greystones; Jus de Vine, Portmarnock; McCabes, Blackrock & Foxrock; Rua, Castelbar; Liston’s, Camden St.
Herby, grassy aromas and fresh clean green fruits with a nice zesty kick. Before dinner, with fishy starters or mild goat’s cheese salad. Lombeline is selected by Charles Derain, former sommelier at Patrick Guilbaud, and one of the best tasters in this country. 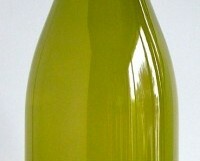 As well as bringing in a very nice range of fine Burgundy and a few other goodies, he sources this Loire Sauvignon. We all need a house white, something reliable that we can crack open and enjoy before dinner or with a starter. The Lombeline falls into this category; inexpensive, well-made and satisfying.